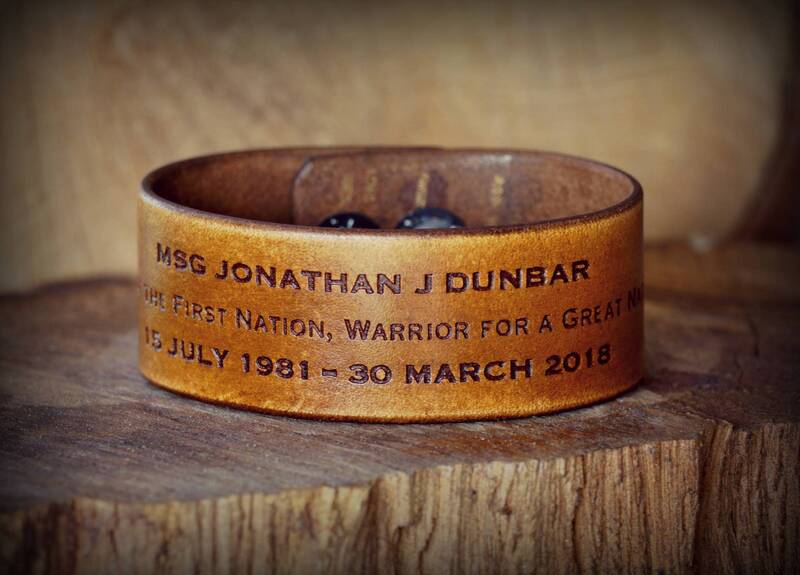 Memorial leather cuff, Leather Cuff Bracelet. Made from premium single bend, 7 ounce leather. 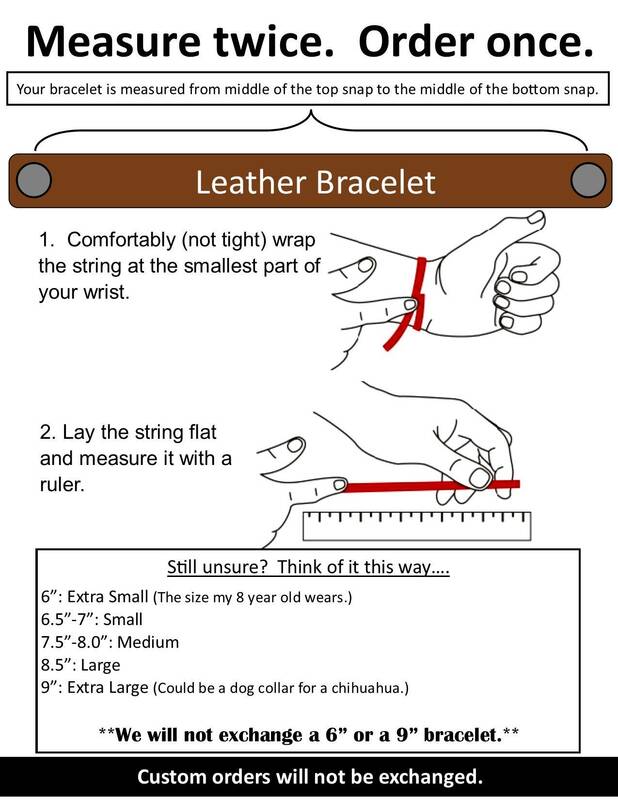 Width measures 1 inch. Laser engraved, hand finished in house. Custom engraving requests can be made in the note at checkout. Comes in walnut coloring, but shades can have a slight variance. Please be sure to leave a phone number in case the are questions about engraving.